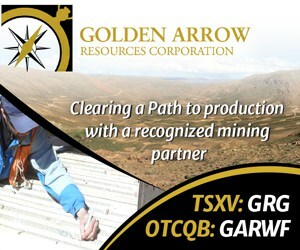 Avalon Rare Metals (‘Avalon’, TSX: AVL | NYSE MKT: AVL) recently announced some senior management changes. Mr. Brian Chandler, Senior Vice President and Chief Operating Officer will leave Avalon at the end of May and Mr. Dave Marsh, Senior Vice President, Metallurgy, will replace him for the time being. 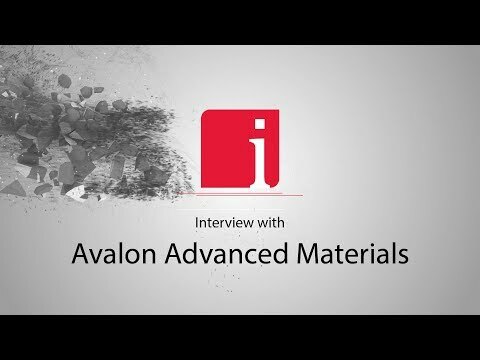 Mr. Marsh is an expert in metallurgy and mineral processing, which are ideal qualifications for Avalon as it moves ahead toward the production stage. Mr. David Swisher, Vice-President, Operations has also left Avalon. No reasons were given for the departures; however, both Chandler and Swisher played key roles in preparing the FS that was released last April. Chandler was also a key proponent of the sustainability culture that has allowed Avalon to obtain the trust of the First Nations communities that now have a stake in the project’s success. Avalon signed an accommodation agreement for the Nechalacho REE project in Thor Lake, Northwest Territories (NWT), Canada with the Deninu K’ue First Nation (DKFN) as well as MOUs with two other local First Nations communities, continuing to negotiate an accommodation agreement with these as well. CEO Don Bubar recognized Swisher’s role in managing some of the key sustainability aspects of the Project. Swisher took the ‘heat’ from the community and the media during hearings and also worked to ensure that community relations would not be an afterthought; rather, that they be included as an integral component of the project since the very first stages. This means the company has a well rooted plan for continuity in the absence of Mr. Swisher. Mr. Chandler will stay on a part time and advisory basis. Meanwhile, Avalon presented its feasibility study for its Nechalacho project last April. As an indication of the investments and effort to bring a rare earth project from exploration to production stage, one need merely consider that the Feasibility Study (FS) alone cost some USD$ 70 million to achieve. Avalon included an estimate to build a refinery in the FS responding to an interest by potential end users to have a refining facility outside of China. And that is the point that Avalon’s CEO, Don Bubar, has been making all along, which is that the FS is a milestone that few companies can reach under the current – difficult – market conditions. The Nechalacho REE, among the various REE projects that have been launched around the world, is one of the few that actually have reserves and that are at an advanced stage of development. However, Avalon’s share price itself has seen a bit of a rollercoaster ride since the start of 2013, even as the company saw further progress. Namely, last March, despite some debate, the community hearings for the project suggested that the community welcomes and needs the opportunity. The Nechalacho project was also backed by the Mayor of Hay River, Andrew Cassidy and by the Premier of the NWT, Bob McLeod, who is keen to promote mining as a key to his territory’s development, citing Avalon Rare Metals’ role as a key ingredient of this strategy. The markets definitely recognized the value as well, seeing as since the middle of April the stock regained 30% of its value on May 12 after falling sharply in mid April, over the past year by the challenging market conditions: Avalon lost some 50% on a year to year basis after peaking last September. Management and investors still need stamina and strong nerves as the roller coaster market ride for junior commodities still seems to have room to go before reaching some sort of stability. The one assurance they have is that rare earths as raw materials have a future and that also applies to the stock market. Avalon investors, moreover, may rest assured that the Company has a valuable resource and that it has completed all phases of the project in the run up to production, expected in 2016-2017. As for the FS, the cost estimate of building the mine is USD$ 1.5 billion which is in line with other rare earths projects around the world, whereby a cost of 1 billion is even considered ‘discounted’. Avalon has reached memorandum of understanding agreements with potential end-users who have shown interest in the project and plans to generate the funds to build the mine through these. Avalon will use the FS as the centerpiece of its efforts to attract investors. The question now is how easily such investors will emerge given the tough market both in terms of the performance of commodities and the current prices of rare earths themselves. However, the more optimistic among us will recognize that Avalon was one of the first companies to embark in the rare earth adventure and years before the 2010-2011 spike that attracted so many other juniors to this space. Avalon is confident in its technical and economic potential to reach production, which includes highly desirable heavy rare earths such as dysprosium and neodymium as well as an enriched zirconium concentrate (EZC), a highly desirable compound for its heat resistance and in demand by the nuclear and aerospace industry. Interestingly, given China’s dominant role in the REE sector, Avalon has even identified some potential EZC buyers in Asia. The management that matters is and is still there: Don Bubar. This is his vision and his commitment to the rare earth sector is heavily respected by anyone with any understanding of this sector. Frankly, it was always my perspective that it was David Connelly of Yellowknife that had been the pivotal player in the First Nations relations or — according to the well known Chief that used to communicate with me regularly and independent of Avalon, this was the case. I get asked a lot what I think about Avalon. Yes, I always say “I am not a licensed investment advisor” but I have held steadfast that Avalon will be one of the survivors in the rare earth fight club. Yes. This is the wild card…stay tuned. I don’t think the stock gain of 30% since its April nadir is correct. Nevertheless, successfully raising funding of more than 15 times its current market capitalization is hardly a foregone conclusion. I agree with you Veritas Bob — and have sent Alessandro an email to explain how he came to this conclusion…I ‘think’ he is missing part of a sentence here…. $1.5 billion is not really in line with the other REE players except when a chronic lack of infrastructure comes into play. What i said was the share “regained 30% of its value on May 12 after falling sharply in mid April”. If you check the charts you will discover that that was the general trend. Falling sharply being the key point. It has actually fallen again since mid May, but is there any logic to that? O.k., I’ll buy that. May 12 was a Sunday, but on May 10 and May 13, AVL (NYSE MKT) did get over 30% higher on an intra-day basis than its April 17 low of $0.90. I didn’t check on the TSX price history. Well, easy come, easy go. So much for the vaunted recovery. AVL (on NYSE MKT) is now $0.10 lower than its April 17 nadir, and its lowest since April 2009. People shouldn’t get too excited when a volatile stock pops up a bit every once in a while. At $0.55, AVL (NYSE MKT) is now down 39% from its April nadir of $0.90. The rare earth stock price recovery is not yet in full swing. So $1.7 billion divided by 90M equals about 19 times Avalons market cap. Raising that sort of money in this market, off the back of such a small market cap will be no easy task. The story makes special mention of the fact that Mr. Marsh is an expert in metallurgy and mineral processing, which are ideal qualifications for Avalon. Perhaps there is a bigger agenda at play behind the scenes, perhaps work has already began to find a cheaper way forward into production – hence the appointment of Mr Marsh.